“Fake news” may be getting lots of headlines, but it is as old as the hills. Propagandists have relied on false evidence for centuries. Of course, not all propaganda campaigns are dishonest; indeed many efforts at persuading people of things are laudable. But the phenomenon of fake news and the “post-truth” culture in which it thrives are clearly a threat to democracy, and to the public sphere that democracy depends on to survive. Everyone has a part to play in pushing back. Most of us probably assume that only other people fall prey to false or exaggerated news stories. This is complacent. Media historians emphasise that propaganda often exploits already-existing trends rather than creating new ones, making subtle use of half-truths as well as outright falsehoods – and it can be much harder to unpick half-truths than to demolish lies. Fortunately, a few decades ago, matters of truth-telling and lying were a major concern for Soviet and Eastern European dissidents living under communism, where propaganda was all-pervasive. Their ideas have long outlasted their times, and today they should interest anyone seeking to challenge dishonesty or speak truth to power, or even simply to live truthfully. They are all the more relevant because the propaganda techniques currently used by Moscow have roots in the Soviet era, and it is valuable to know how people sought to respond to them then. But their ideas have a relevance well beyond Russia; after all, no country, group or person is immune to half-truths or disinformation. On these issues, the thinking of Russian novelist Alexander Solzhenitsyn, one of Soviet communism’s most trenchant critics, deserves special attention. 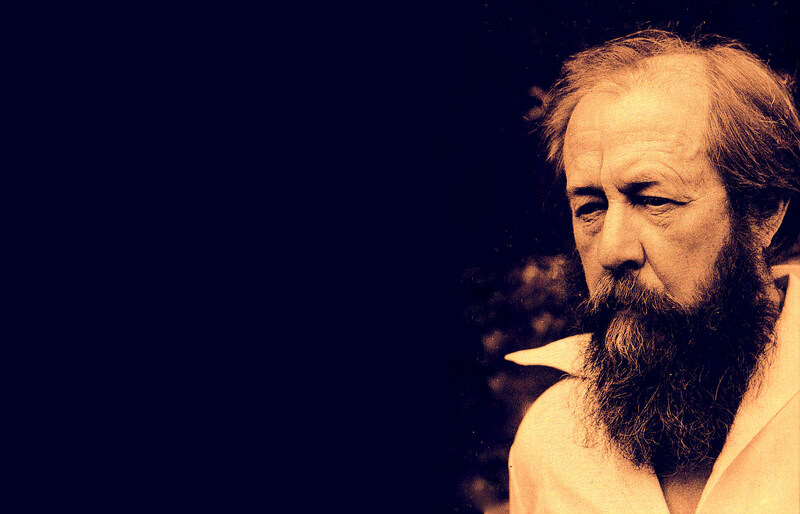 When Solzhenitsyn was awarded the Nobel Prize for Literature in 1970, he built his Nobel lecture around a Russian proverb: “One word of truth outweighs the whole world”. Simple truths, he argued, are always a threat to totalitarianism. In his 1974 essay, Live Not by Lies, Solzhenitsyn suggested that to end repression, people needed to resist lies and learn to live “by truth”. “Never knowingly support lies,” he declared. While he acknowledged that that could be risky, to put it mildly, he saw it as a kind of minimalist strategy, one within everyone’s reach. Dissidents and reformers alike read Live Not by Lies as a vision for a different kind of society. One man impressed with Solzhenitsyn’s thinking was the Czech dramatist and future president, Václav Havel. In his 1978 essay, The Power of the Powerless, Havel suggested that people “need not accept the lie”. He imagines a greengrocer who stops putting up slogans he disagrees with and voting in fake elections, and starts to say what he really thinks at political meetings— breaking the “rules of the game” that underpin the system. In finding the strength to follow his conscience, Havel suggests, the man makes an attempt to live “within the truth”. The notion of “living in truth” points to the idea that being truthful isn’t just a matter of uttering true statements, but also about becoming a truthful person in the fullest sense. Truthfulness and integrity are entwined; religious thinkers sometimes talk of the “spirit of truth” at work within people. The Russian philosopher Semyon Frank, writing from a Christian humanist perspective, once wrote that truth is ‘not a judgement about reality, but the living presence of the reality itself”. Another relevant text is Fear No Evil, a 1986 memoir by Jewish refusnik Nathan Sharansky. Sharansky was imprisoned for his involvement in the Moscow Helsinki Group, set up in 1976 to monitor human rights abuses. He used to prepare for interrogation by reflecting on the Psalms of David and having imaginary conversations with characters from literature. He was conscious that if he did not develop a rich inner life, he could easily be drawn into compromises he would later regret. Again, this speaks to our own time, where it is so easy for people to get caught up in the latest news story or media-driven discussion. When we lose our “inner freedom”—another term popular in dissident circles—we become open to manipulation by political, commercial and cultural agendas of all kinds. Truth-telling is not easy in times when the very concept of truth has been brought into disrepute. Lenin named the Bolshevik newspaper Pravda, which is Russian for truth. In practice, this meant the politicisation of truth – identifying as true whatever policy or idea the Communist Party chose to promote. Unsurprisingly, there was widespread disillusionment when the Soviet regime failed to deliver on its promises. It is hard not to be cynical about people who loudly claim to speak the truth, and understandings of what truth even is have certainly changed over time. But to move from that insight to saying that everyone has their own truth is a step too far. No university would survive on a principle like that, even if the “post-truth” culture, with its implicit connections to postmodernism, has some of its roots in the academy. Living in truth doesn’t mean speaking out unthinkingly on every issue. It matters not just what we say, but how we say it. It’s all too easy to become strident or pedantic, forgetting that truths expressed well have the power to unlock hearts and open up conversation. Besides, truth and untruth are often mixed up, and it can take time and care to separate the two. In these times as much as ever, we must live in truth, and learn to tell the truth in constructive ways. This may seem obvious, but in practice it’s no small task—and democracy depends on it. Philip Boobbyer is a Reader in History at the University of Kent.